And meowing until you give them some food...that's an expression of belly-full love! I give headbonks to show love. I totally agree! When my kitties choose to interact with me, I know they love me. They wouldn't bother with me if they didn't. 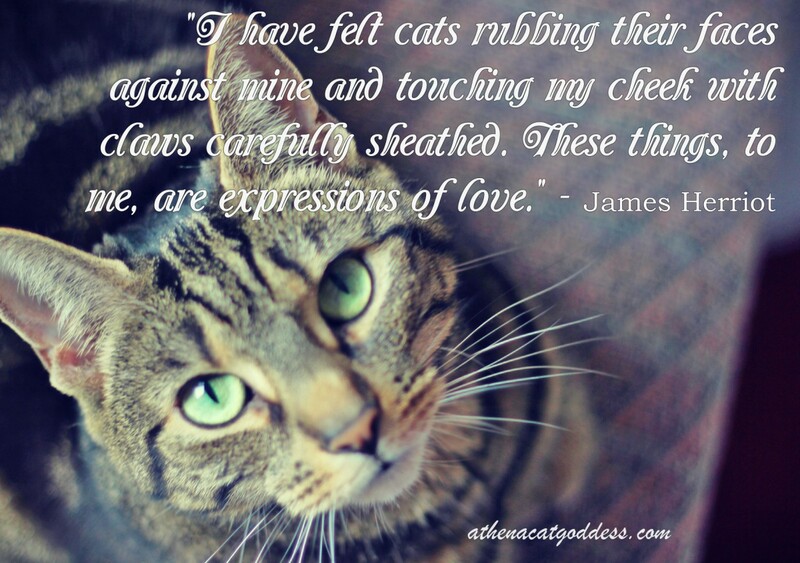 Not using their claws on me is a great sign too! You are beautiful, Athena. I love the style of this photo. Great photo. Love the quote, too. One of my very favorite authors. I've not seen this particular quote before, but I couldn't agree with it more if I tried! Awesome quote and it goes with that picture perfectly! That's sweet. And I know how much you love your Mum.